AS DEADLY AND SWIFT AS THE PREDATORS YOU HUNT. 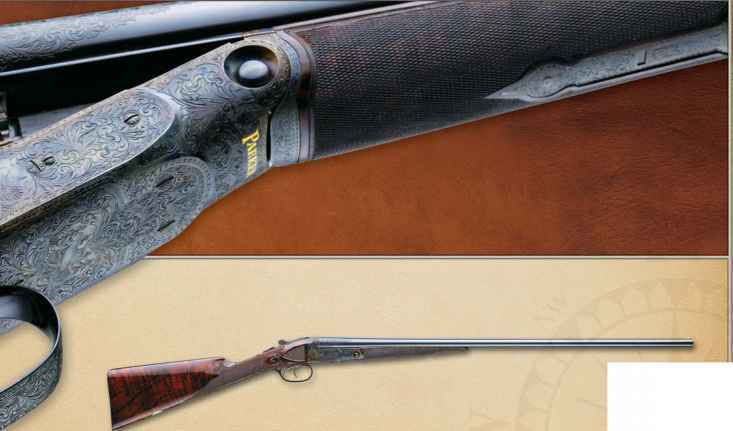 You can trace Remington's dedication to the varmint hunter back to 1967 - the year the Model 700™ BDL™ "Varmint Special" was introduced. Since then, Remington® has been an industry leader in varmint rifle technology, bringing you its greatest innovations. It has always been a priority for Remington to listen, and respond to the needs of serious varmint hunters and benchrest shooters - and this gun proves it. With deadly accuracy and swift handling, the Model 700 LV SF,™ is redefining the predator hunt. 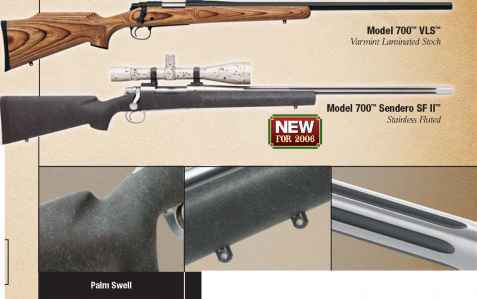 Based on the reliable Model 700 action, the Model 700 LV SF weighs a mere 6.75 pounds and features a stainless steel, short action, pillar bedded receiver; a blind box magazine; and a jeweled bolt. The 22-inch clean stainless steel barrel has a medium contour (0.657" muzzle O.D.) and is fluted to reduce overall weight and increase heat dissipation. Adding to the weight reduction is a custom designed, black Bell & Carlson composite stock featuring a semi-beavertail fore-end, swivel studs, and a recoil reducing, R3® recoil pad with Limbsaver® patented technology. 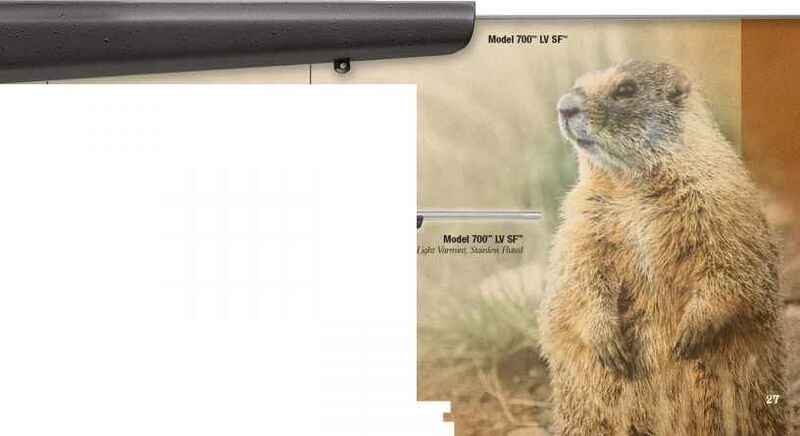 Available in four popular varmint calibers, the Model 700 LV SF is one of the most innovative rifles for the varmint and predator hunter on the move.